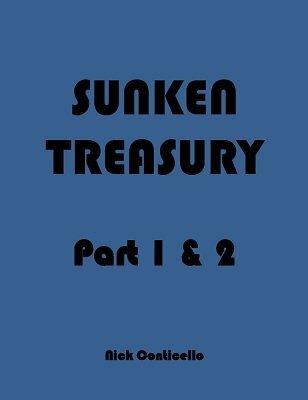 Tarbell Course contributor Nick Conticello is proud to release the first installment of a book he calls "a five-part meditation on one of the most powerful principles in card magic, the sunken key card." THE SLEIGHT-OF-MIND ROUTINE: A routine of three effects involving selected cards and a pair of Deuces. MENTAL POLYGRAPH: A spectator thinks of a card and loses it in the pack herself. She spells out the answers to a few questions about her card, lying or telling the truth as she sees fit. Nonetheless, the deck, used as a polygraph, reveals the true answers and her card! IMPOSSIBLE! : The classic Larry Jennings comedy plot, with a new, direct method. DOUBLY IMPOSSIBLE!! : A two spectator version of the above. UNKNOWN COUNTDOWN: A direct mentalist-style location of a randomly selected card, inspired by Annemann's classic "Locatrix," with a dynamic new method. ODDAID FOR TWO: A new presentation and approach for the One Deck Do-As-I-Do problem. A LOT LESS WORK: The 21 Card Trick, but with only one deal-through, two selections, and with the three piles buried into a thoroughly shuffled deck. THE ORSON WELLES TRICK: Two cards chosen and lost by spectators with the pack in their own hands are located by spelling the magic name of Orson Welles. The sort of thing Welles might have done himself had he been a bit more vain. Q+A SPELLER: An elaborate version of the Lie Detector, with a repeat in which the spectator answers questions about the card before seeing it. Still the deck reveals the selected card. Introduces the CAFE Control, which will be explored further in Part Three. Also included are thorough explanations of the Radar Principle and Littlecount, two powerful ideas that Nick considers his best contributions to the technique of mathematical card magic to date. Each effect or routine in this book can be done without sleights or putting work in the cards, and with a shuffled, borrowed, incomplete deck! Of course, Nick describes his preferred methods using simple sleights as well. We believe this book will be considered a landmark in the literature of card magic. Get your copy now and experience the cutting edge of magical thought! 1st edition 2015, 50 pages.